Visit our Noarlunga warehouse to check out our wide range of pool chemicals and pool supplies. 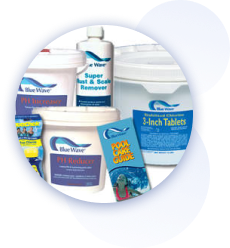 We stock a variety of different pool chemicals that are competitively priced. We also carry a range of hand over gear including vac heads, poles, hoses, brushes and scoops. Call in to take advantage of our well priced stock. We often have special offers available in store, so be sure to pop in to check it out.